I'm thrilled by this map. I want to order a print for my room, though the product descriptions are a little unclear. 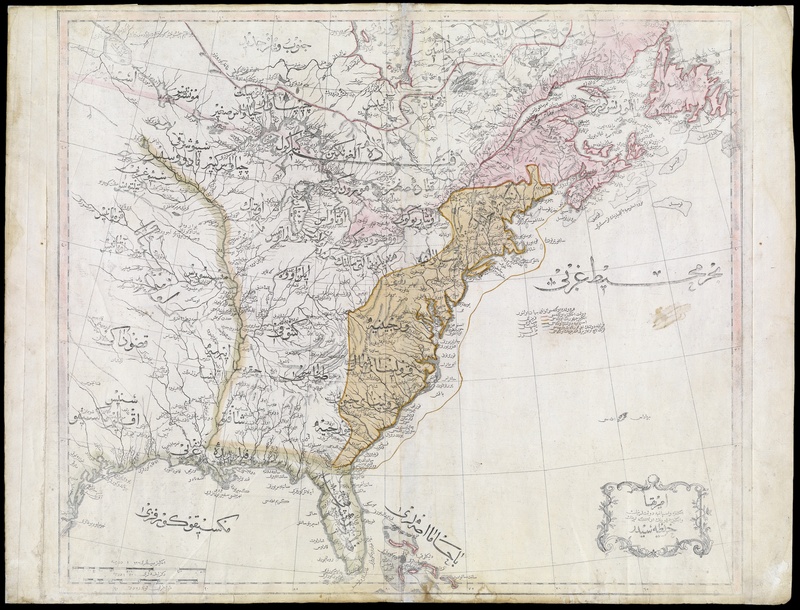 This map was commissioned by the Ottoman Empire in 1802. Labeled in Turkish Arabic, the recently formed United States are called “The Country of the English People,” and the pink highlighted lands to the north are the Iroquois Confederacy, labeled the “Government of the Six Indian Nations,” as well as some other Indian tribes. edit to ping: mk -- look! Our mitten is a little misshapen, but undeniably there waving.